Ten years on from the crash and we still don’t have an accurate measure of housing output. The one metric that might give us an understanding of the scale of the current crisis and how to remedy it is essentially an unknown.Traditionally, the Department of Housing uses electricity connections as a proxy for counting new builds, but this method has proved entirely unreliable. This is because new connections can be triggered by formerly vacant units – think of the myriad of ghost estates left over from the boom – coming back on stream. Even so, a figure of 19,300 completions for 2017, based on this questionable method, has been adopted. It is proposed to prepare a Local Area Plan (LAP) for Ballyogan and Environs, an area covering Ballyogan, Kilgobbin, The Gallops/Glencairn (Leopardstown) and parts of Carrickmines and Stepaside. An LAP is a land use planning tool that guides the development of an area by way of policies and objectives. 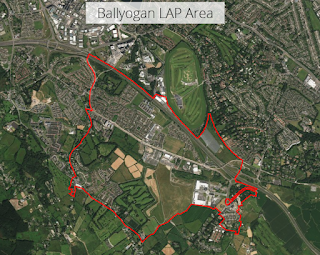 In advance of preparing a draft LAP, DLRCC is engaging in public consultation, to help determine the planning issues the LAP should address. DLRCC is seeking views of individuals and organisations with an interest in the area. Submissions may be made online or by post any time up to 5pm on Thursday 24th May by clicking this Make a Submission link. This link also contains details of Public Information Meetings. To help inform this consultation, the DLRCC Planning Department has prepared a Story Map, which provides a context for the area by way of online interactive maps and images, and an Issues Paper which pulls together baseline information by way of a study of various planning themes relevant to the area. Just click on the links. You are invited to consider these in advance of making your observation, as they may help in framing your submission. Printed copies of the Issues Paper are available for inspection at the County Council offices in Dun Laoghaire and Dundrum, and at all DLR libraries. Link to DLRCC website here. If you need help making a submission contact bps here. The Government is determined to fast-track the delivery of more social housing projects, Junior Housing Minister Damien English has insisted. But available land will have to be used more efficiently, with more high-rise, high-density developments likely in appropriate locations, he said. His department is due to issue new building height guidance to local authorities within a matter of weeks, he confirmed. Mr English was speaking yesterday at the official handing over of 52 new homes to families in Knocknaheeny, on the northside of Cork City, which were developed by Deermount Construction in two phases worth €10.2m as part of Cork City Council’s ambitious North West Quarter Regeneration Plan (NWQRP) which aims to deliver 650 homes across a vast swathe of the city’s northside. Work on the re-development of Dún Laoghaire’s derelict baths site is to begin as soon as possible. Contracts were formally signed on the 10th April by Dun Laoghaire Rathdown County Council. The planned programme of works was initially expected to cost €2.5 million but the cost is expected to substantially higher given additional engineering works required to secure the road and retaining walls between the DART line and the site. The new Dún Laoghaire Baths, which has been designed by dlr Architects' Department (details here), will see a new public café linked to an outdoor terrace with views over the Bay, along with studio workspaces for artists and new life guard facilities. New public toilet facilities at street level will be fully accessible for the mobility impaired and a new jetty and changing areas will provide access to the water's edge for swimmers and landing points for canoes, kayaks and other water sports equipment. The development will take approximately 22 months to complete and will open to the public in the spring of 2020. 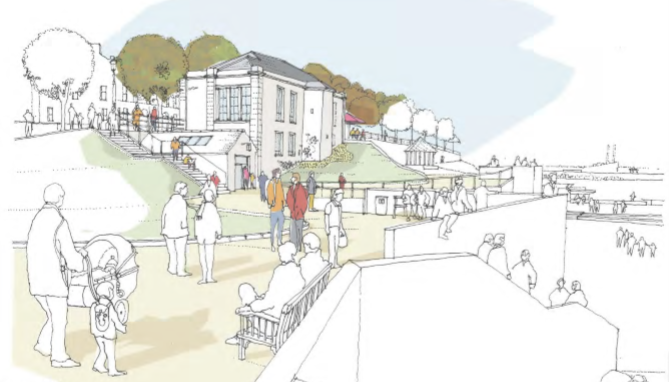 The new Dún Laoghaire Baths will be a long-term, public amenity for the area and county. It will provide not only a connection between Newtownsmith and the People's Park, but will also bring link the town of Dún Laoghaire with its seafront. The project will breathe new life into the seafront and will attract more visitors to Dún Laoghaire town. Link to DLRCC website here. Increased structural and safety costs for high-rise buildings mean that six-storey blocks are the “optimal height” to make “affordable” apartments economically viable for developers to build, a government report has found. The report said that apartment buildings of a greater height do not necessarily increase the density of housing developments. The findings are contained in a report – called the “review of delivery costs and viability for affordable residential developments” – published this week by the Department of Housing, Planning and Local Government. It says that “contrary to common understanding, higher-rise development” can be a “a more expensive form of development”. The children of farmers whose land is affected by flooding could soon have access to special planning exemptions under new proposals. Minister of State for OPW and Flood Relief, Kevin 'Boxer' Moran revealed the plans at the commencement of preliminary works by OPW staff on the flood relief works at The Quay, Athlone, Co. Westmeath. The Minister told local reporters that there are many people particularly farmers who have land in flood plains and said “they cant give a bit of land to their son or daughter”. “I’m looking at ways through the local authorities, through the Department of Planning and through Minister Damian English that will allow those people if they want to build a house 10 or 15 miles away that local needs do not come into play. An appeal has been lodged with An Bord Pleanála over the granting of planning permission for 271 housing units near to Tinakilly House in Rathnew. In February, Wicklow County Council gave Keldrum Ltd permission to construct the 271 homes, although the initial planning application had sought 369 dwelling units. The development would also include state roads, parking facilities, pedestrian facilities and open space areas. The planning condition granted also allows for the first phase of the Rathnew Inner Relief Road including the upgrade of the Merrymeeting Interchange. However, on March 26, an appeal was lodged with An Bord Pleanála against the plans. Plans to build almost 1,000 social and affordable homes at the Glass Bottle site on Dublin’s Poolbeg peninsula have been appealed by the site’s receivers, despite the State owning a large stake in the land. 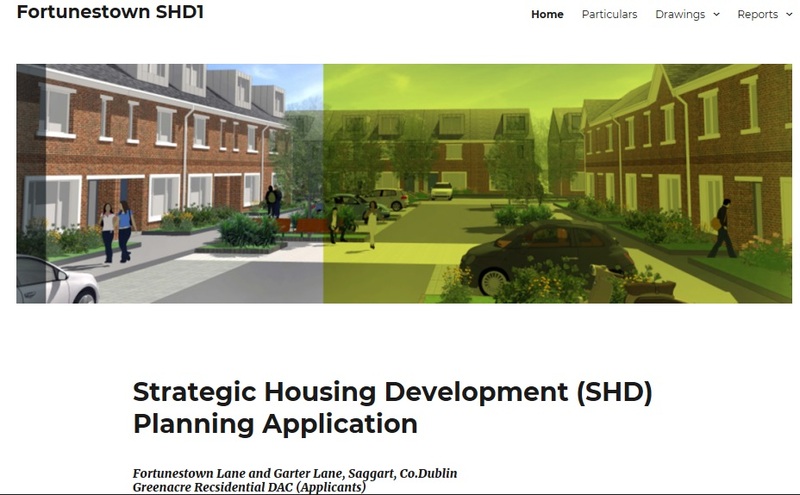 An Bord Pleanála will later this month open a public hearing on Dublin City Council’s plans for fast-track development of up to 3,500 apartments in a new Strategic Development Zone (SDZ)at Poolbeg. Last May the council said it had reached a deal with then Minister for Environment Simon Coveney, Nama and receivers, that State funding would be made available to bring the number of social and affordable homes in Poolbeg to 900. It follows almost two hours of rush-hour gridlock in the city centre last night and complaints of a lack of warning signs about the traffic arrangements, which came into effect on the main street yesterday. Private cars are now banned from the area from 3pm to 6.30pm seven days a week. Access is restricted to public transport, taxis, cyclists, and emergency vehicles during those times. The move, part of the 2012 City Centre Movement Strategy, is designed to create a time-regulated bus lane along St Patrick St to ensure the almost 1,000 Bus Éireann movements run more efficiently. While the car ban was introduced smoothly, there was severe traffic congestion on the outskirts of the city-centre island from 4pm. 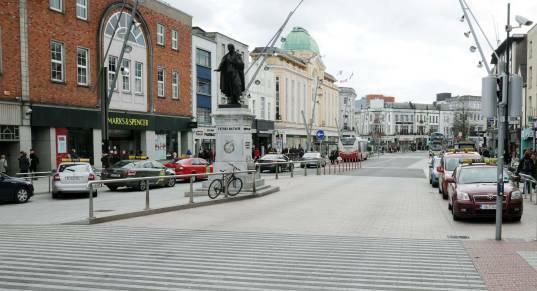 CORK cyclists have welcomed the new traffic restrictions on Patrick Street and have urged concerned traders to give it a chance. Cork Cycling Campaign say they sympathise with the corners of traders and motorists regarding the ban but pointed to the success of the largely pedestrianised Oliver Plunkett Street as a reason for optimism. The changes kicked in just over two weeks ago and restrict access to the city's main shopping street between 3pm and 6.30pm daily. It has been met with vocal concerns from city businesses, who claim that it will deter people from coming into the city centre, in particular in the context of the removal of parking spaces from a number of other areas in the city centre. City Hall has moved to calm fears, pointing to the large volume of available parking in areas such as North Main Street car park. 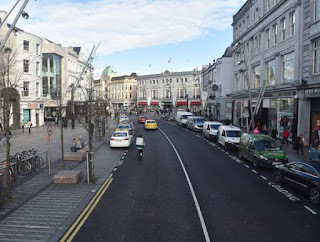 A statement issued by Cork Cycling Campaign said that there is very limited parking on Patrick Street and, therefore, it should make little difference to those coming into the city. Since opening in 1860, Fitzgerald’s Menswear on Patrick Street in Cork has managed to weather wars, uprisings and recessions. But the store’s managing director fears it is now facing the biggest challenge yet – a daily driving ban on the street from 3pm to 6.30pm. Eddie Mullins said it felt as if Cork City Council was causing “death by a thousand cuts” with the introduction of the scheme, under which traffic on Patrick Street will be limited to buses, taxis, bicycles and emergency vehicles for 3½ hours a day. Dublin City councillors have called on the Minister for Housing to intervene to prevent an appeal over plans to build almost 1,000 social and affordable houses at the Irish Glass Bottle site on Dublin’s Poolbeg peninsula. Last May, the council said it reached a deal with then minister for environment Simon Coveney, Nama and receiver that State funding would be made available to bring the number of social and affordable homes in Poolbeg up to 900. 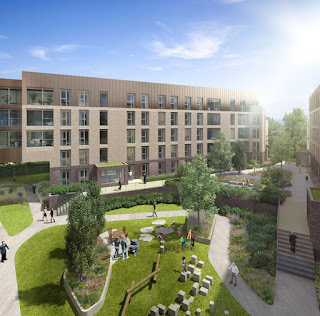 However, the plans were recently appealed by the site’s receiver Deloitte which wants to reduce the number of social and affordable homes to a maximum of 350. An Bord Pleanála has granted permission for a residential development, as submitted by Greenacre Residential DAC at Fortunestown Lane and Garter Lane, Saggart, Co. Dublin. The application was submitted to An Bord Pleanála under section 4 of the Planning and Development (Housing) and Residential Tenancies Act 2016 on 21st December 2017 and decided on 26th March 2018. The application process included a period of public consultation and followed completion of a pre-application consultation with An Bord Pleanála and the relevant local authority. 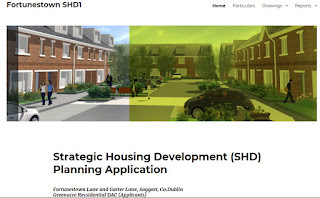 This was a straightforward planning application and assessment because the lads were zoned for residential development under both the South Dublin County Development Plan 2016-2022 and the policies and objectives in the Fortunestown Local Area Plan 2012. Also, there is considerable availability in the area of social and transport infrastructure including the Luas. It would be helpful in the future if all possible Strategic Housing Development sites were identified during the drafting of County Development Plans and Local Area Plans. Those living near to these sites should be clear that such proposals are likely. These projects should not come as a surprise. Permission refused for a Strategic Housing Development application at Kill Hill and Earls Court, Kill, Co. Kildare. 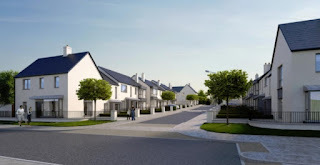 An Bord Pleanála has refused permission for the proposed development comprising 130 residential houses, as submitted by McCourt Investments Limited at Kill Hill and Earls Court, Kill, Co. Kildare. The application was submitted to An Bord Pleanála under section 4 of the Planning and Development (Housing) and Residential Tenancies Act 2016 on 22nd December 2017 and decided on 27th March 2018. The application process included a period of public consultation and followed completion of a pre-application consultation with An Bord Pleanála and Kildare County Council. With specific reference to the correspondence and accompanying map dated 01 February 2018 received by An Bord Pleanála from the Development Applications Unit of the Department of Culture, Heritage and the Gaeltacht regarding the reclassification of Recorded Monument KD020-001-003 from enclosure/ringbarrow/tumulus to hillfort and the resultant expanded buffer that corresponds with the area of archaeological potential around the hillfort and the archaeological complex to the south comprising sites and monument numbers KD019-010, KD019-056, KD019057 and KD019-008004 protected by Preservation Order number 3 of 2007 published by the National Monuments Service. It is considered that the archaeological significance of the site is such that any development of the site in advance of a comprehensive archaeological assessment, would be premature and would, therefore, be contrary to the proper planning and sustainable development of the area. 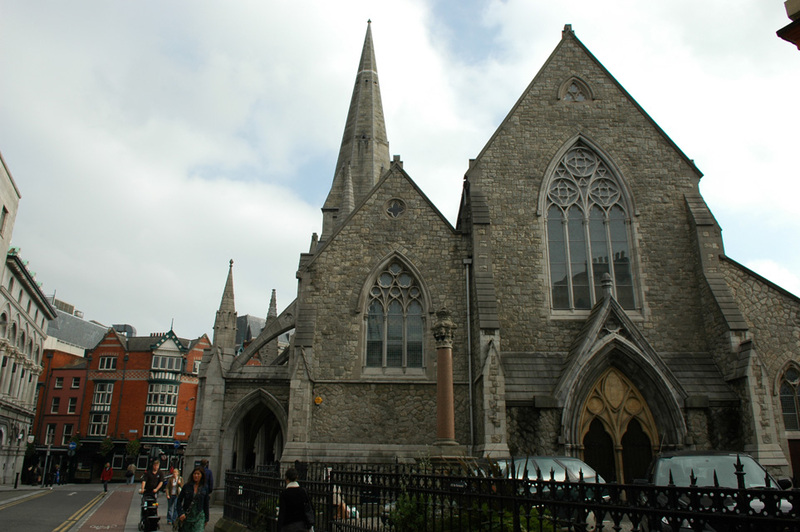 AN APPEAL HAS been lodged with An Bord Pleanála over the granting of planning permission for the development of a residential property just a few hundred metres from St Stephen’s Green in Dublin 2. In February, Dublin City Council approved the redevelopment of the rear of No.10 Ely Place, which is itself a protected Georgian building, on a number of conditions. The owners of the adjoining No.9 building, however, have appealed the decision, claiming that they have a right of way to the laneway which will be infringed where the property will be built and that the plans are not compliant with development standards. The application was submitted to An Bord Pleanála on 22nd December 2017 under section 4 of the Planning and Development (Housing) and Residential Tenancies Act 2016 and decided on 3rd April 2018. The Board's Planning Inspector recommended a grant and the Board agreed with this. 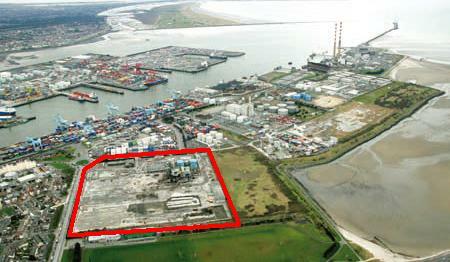 The application process included pre-application consultation with An Bord Pleanála and Dublin City Council. There were 1102 submissions lodged to the Board. Most of these were objections. This decision will shine a strong light on what many will feel is the downside of the new Strategic Housing Development process under which a small number of unelected individuals can make a decision, in the face of enormous opposition, which impacts in hundreds of individuals and families. Much of the controversy around this decision lies with the zoning of the lands. In Dublin City Development Plan 2016-2022, they are zoned Objective Z15 Institutional & Community which seeks to ‘protect and provide for institutional and community uses and to ensure that existing amenities are protected’. Residential development is ‘open for consideration’ under this zoning objective. Those Dublin City Council's councillors who voted to adopt the current Development Plan will need to explain why they did so given that it has facilitated the development of lands many thought were protected from development. Communities across the country need to start asking questions about the zonings of the green spaces, playing pitches and institutional lands in their areas when plans are being drafted by their local authority. It is also clear that there is a need to stop selling land to religious orders as time and again it ends up being developed. Here the problem is that St. Paul’s playing fields are not in Dublin City Council ownership as the land was sold to the Vincentians in three separate transactions in 1952, 1953 and 1959 without restrictive covenants. There will be a total loss of 6 pitches as a result of the proposed development- 3 x soccer pitches, 2 x rugby pitches and 1 x GAA pitch. This loss is not just to a school, but to the community. While I acknowledge the loss of the playing pitches within St. Paul’s to the wider community. Outside of school times and when not required by the school, agreements were in place for their use by community groups/local sports clubs. Detailed submissions were made to the Board by both private individuals and sports clubs outlining the structure which was in place until relatively recently, the pitches involved, the sports involved, the numbers using them, hours of use and the like. It is notable that the Chief Executive report of Dublin City Council recommended a refusal of permission. That report however acknowledged that the Board may grant and set out area of the scheme it felt should be amended. 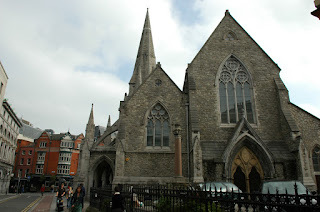 But the fact is, has this planning application been made to Dublin City Council, it would have been refused. The Board may subsequently have granted it, but that would have been on appeal. The objectors to this scheme now have no appeal option. The Strategic Housing Development process has removed any appeal option leaving communities like those in Raheny with nowhere to turn when a planning decision they strenuously oppose is made. This, obviously, is why these measures were introduced. CONTROVERSIAL PLANNING PERMISSION for a major residential development beside a north Dublin park has been granted by An Bord Pleanála. 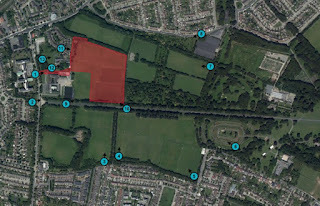 The plans for the area near the north-west corner of St Anne’s Park in Raheny were announced back in 2015 but locals have continuously objected on various grounds, including that the land is not zoned for housing. The initial plans by IMG Planning on behalf of Crekav Landback Investments would have seen 381 new housing units of various types and sizes built on the site. Revised plans submitted by Dublin City Council in August 2016 showed that it had been reduced by 25 units up to 365, a 6.6% reduction on the previous proposal. An application for EU funding for transport projects in the west and northwest was dropped following the intervention of Leo Varadkar when he was minister for transport, newly disclosed documents reveal. Projects such as the western rail corridor and the upgrading of Galway and Sligo airports were deleted from an EU-wide transport programme in 2011 at the behest of Mr Varadkar, according to the documents. The change went ahead despite Mr Varadkar being warned by a party colleague that it could close off the projects from EU funding “for good”. 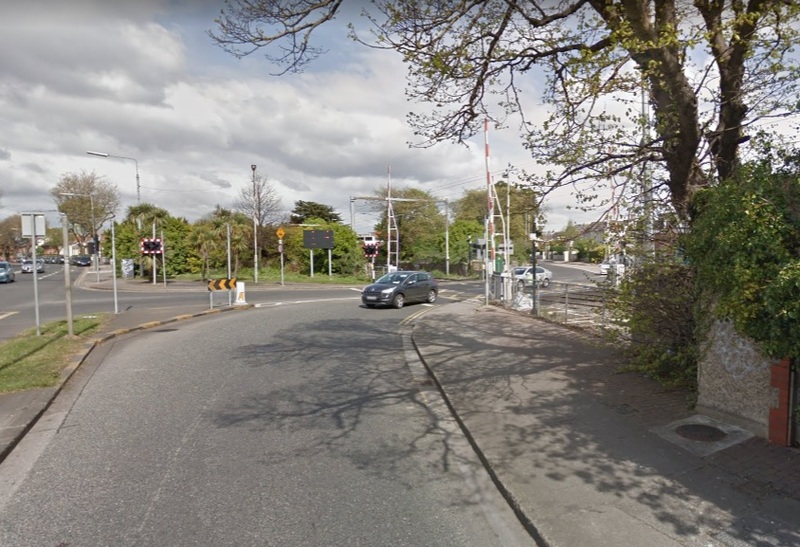 A €48 million plan to close Dublin’s Merrion Gates level crossing to traffic and build a cycle path from Sandymount to Blackrock is in disarray, almost 18 months after first being proposed. 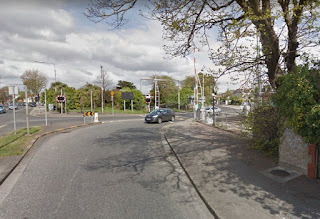 The National Transport Authority (NTA) has said it can find no “viable alternative” to the construction of a two-way traffic flyover between Strand Road and Merrion Road in Dublin 4, a proposal which has been strongly opposed in the surrounding area. The NTA is now considering splitting the project to allow the section of cycle track south of the Merrion Gates to progress, while deferring the controversial flyover and gates closure. A committee of councillors from Dublin city and Dún Laoghaire Rathdown will be convened in the coming weeks to consider the move. An Bord Pleanála has granted permission for the proposed mixed use development comprising of 179 no. student accommodation units (576 no. bed spaces), 103 no. 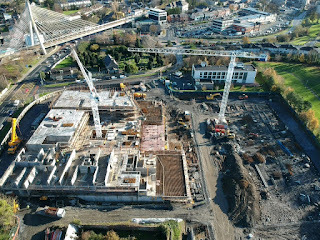 residential apartment units, retail unit, community sports hall and all associated site works at former Blakes and Esmond Motors Site, Lower Kilmacud Road, Stillorgan Road (N11) and The Hill, Stillorgan, Co. Dublin. The application was made under section 4 of the Planning andDevelopment (Housing) and Residential Tenancies Act 2016. The application was submitted to An Bord Pleanála on 20th December 2017 by Cairn Homes Properties Limited and decided on 16th March 2018. This was in advance of the target decide by date of 19th April 2018. The application process included a period of public consultation and followed completion of a pre-application consultation with An Bord Pleanála and Dun Laoghaire-Rathdown County Council. Link to project documentation here. A large-scale Cork housing development has been given the all-clear by the national planning body under new fast-track laws. The Ballinglanna residential scheme is the first housing development outside the capital to receive planning permission as part of the ‘Strategic Housing Development Scheme’. 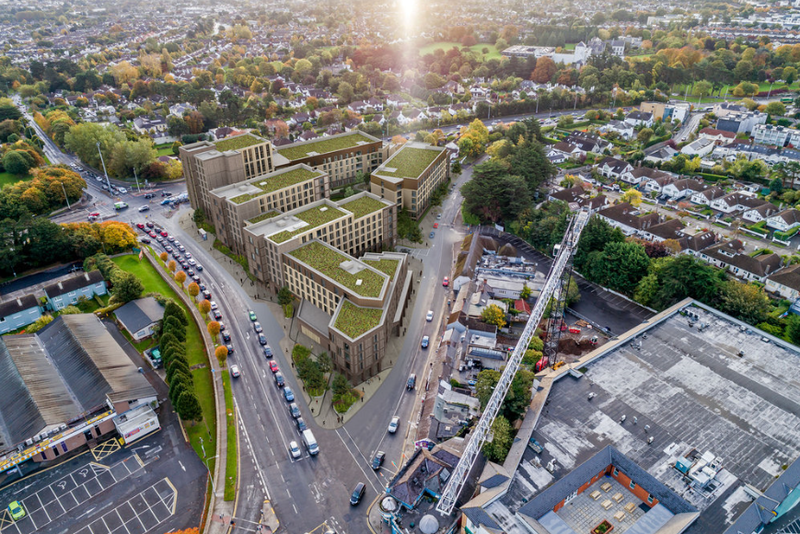 Last year, O’Flynn Construction applied to An Bord Pleanála for planning permission to build a 608-unit residential development in Glanmire, Co Cork. The developer sought permission for its plans from the national planning authority through the fast-track scheme – new laws that allow large housing projects to bypass the local council planning system. All project documentation can be viewed here. A major planning application for a “neighbourhood centre” adjacent to the M50 at Carrickmines in south County Dublin includes “an indoor sky-diving arena”. But local politicians have criticised plans by developer Iput to satisfy its Part V social housing obligations by offering the local authority 13 apartments for social housing at average cost of more than €500,000 each. The €75 million proposal, from one of the State’s largest property vehicles, covers land in an undeveloped area of Carrickmines retail park bordering Ballyogan Road, adjacent to Junction 15 on the M50. Fingal County Council has prepared a Draft Urban Framework Plan for: Main Street, Rush, Co. Dublin. Public Information Evening: A Public Information Drop-In Session will be held on Thursday 19th April from 4pm – 8pm in Rush Community Centre, Upper Main Street, Rush. Strategic Environmental Assessment (SEA): In complying with SEA Directive (2001/42/EC) and the Planning and Development (Strategic Environmental Assessment) Regulations 2004 to 2011, Fingal County Council has carried out Strategic Environmental Assessment Screening and determined that an SEA is not required for the Draft Rush Urban Framework Plan. Appropriate Assessment: A Screening for Appropriate Assessment has been carried out for the Draft Rush Urban Framework Plan in accordance with the requirements of Article 6 of the EU Habitats Directive 92/43/EEC. 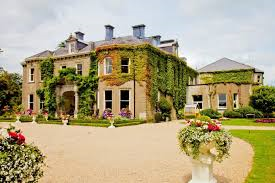 Fingal County Council has determined that a full Appropriate Assessment is not required in this case. 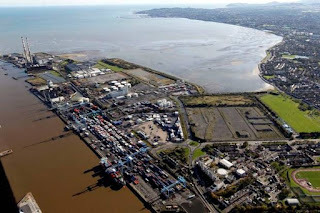 Submissions or observations, with respect to the Draft Urban Framework Plan, including SEA Statement and Screening Report for Appropriate Assessment made in writing to Fingal County Council from Tuesday 3rd April 2018 to Tuesday 1st May 2018 or made online https://consult.fingal.ie/en/browse, (one medium only), will be taken into consideration by the Council before the making of the Urban Framework Plan. 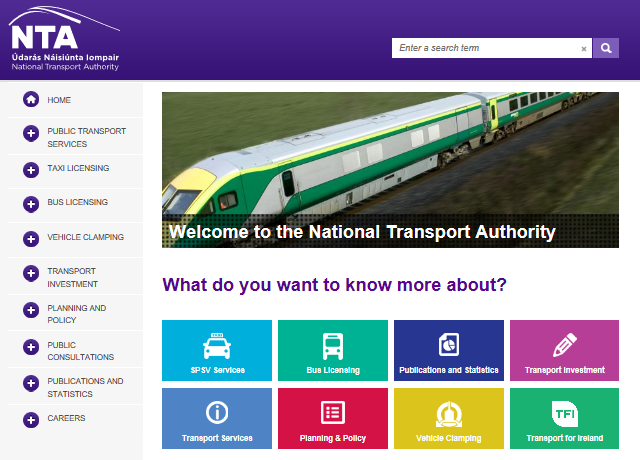 The board of the National Transport Authority (NTA) did not review the announcement by the Government of the new MetroLink project before it was published last month. The €3 billion MetroLink is a central element of the Government’s new infrastructure programme. Minutes just published of a recent NTA board meeting also appear to show support at the board for the Dart Underground project, funding for which was not included in the recent 10-year Government programme. The NTA said that details announced by the Government last month as part of its investment programme were reviewed by NTA management but not the board. In response to queries it said that the board would review the final selected route and project after a public consultation programme now under way. A spokesman also said the board had been updated regularly on progress on the Metro plan, including details of the emerging preferred route, announced on March 22nd. They’re building hundreds of apartments on the grass hockey field that once upon a time belonged to Notre Dame secondary school in Churchtown, Dublin. It was the only properly level playing field between the old Dundrum shopping centre and Milltown Golf Club, and one of the side entrances was always left open. We would cut through from Weston Park and the new houses built at the back of us at Finsbury Park, and, depending on the time of the year, that field could be staging the World Cup finals or the Olympics. Sometimes twice in the one summer. There was no closing time, and the nuns didn’t seem to mind once we left before dark and kept the noise down. When I was 16 and getting bored my dad took me and my older brother for a run down to that hockey field, waiting until after dusk so my mates didn’t slag me off. He told us to keep our backs straight and lift our knees a little higher and that we might be okay at it, then one night we told him to run on home and we’d follow him after a few more laps. Paul Melia: On the face of it, the LIHAF (Local Infrastructure Housing Activation Fund) deals struck between local authorities and developers are a good deal for the taxpayer and those hoping to buy a home. More than half (55pc) of the 19,979 units to be provided will be social or affordable, with cost reductions of up to €20,000 available on some homes. In many cases, more than the required legal minimum 10pc will be social housing. Housing Minister Eoghan Murphy also insists that the €195m invested in roads and other essential services will help to deliver much-needed housing to tackle the crisis and reduce the record numbers in homelessness. Last Thursday saw the release by the National Transport Authority (NTA) of the preferred routing for the next addition to the Dublin tram system, formerly called Metro North and re-christened MetroLink. This will be an expansion of capacity on the existing Green line from Sandyford in the south of the city and a new line, much of it underground, through the city centre and on northwards to the airport and Swords. The trams will be bigger than those originally ordered for the Red and Green lines but will operate on the same gauge of track, narrower than mainline or suburban rail. They will squeeze in 500 passengers, mainly standing, when fully loaded, versus around 300 for the shorter first-generation Luas trams. Suburban trains are bigger and can take 1,000 passengers or even more. 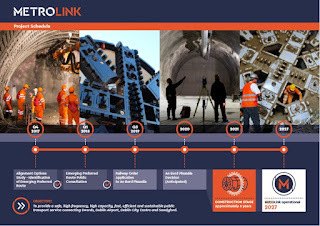 Total cost for MetroLink is estimated at €3,000m, which would make it easily the most expensive single project ever undertaken in Ireland. There are two locations along the route where an alternative option for MetroLink is under consideration. The first of these is between Fosterstown Station and Estuary Station and the second is between Northwood Station and Airport Station. As an alternative to the current route between Fosterstown and Estuary Stations, which runs on an elevated structure along the central median of the R132, further consideration is being given to running the majority of the route at surface level along the central median of the R132, with grade separation at Estuary, Seatown, Malahide and Pinnock Hill roundabouts. As an alternative to the current route between Northwood and Airport Stations, which runs in tunnel beneath the M50, further consideration is being given to a route which emerges from tunnel at Northwood Station, passes over the M50 to the proposed future station at Dardistown and re-enters the tunnel immediately south of old airport road. Fingal County Council will work with Transport Infrastructure Ireland over the coming months to ensure that the final design is the one best suited to Fingal and the Metro Economic Corridor. 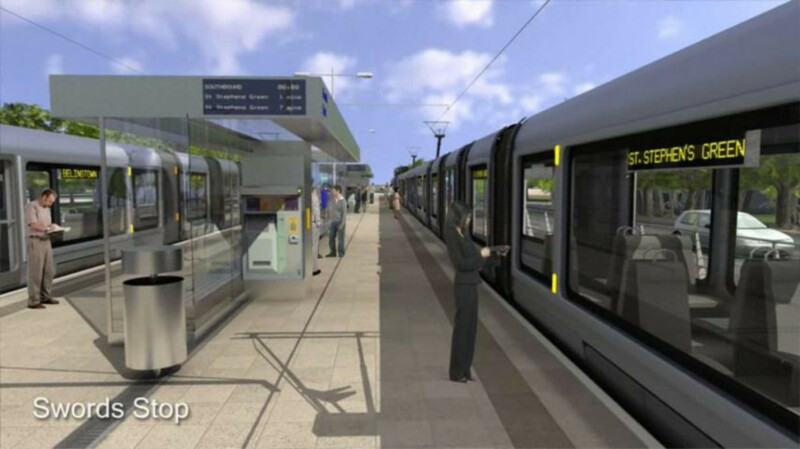 Following the announcement of the preferred route for the long-awaited metro link, which will carry passengers from Swords to the city centre in just 25 minutes, Fingal County Council CEO Paul Reid said 'clarity' on the route and timelines was welcome. Furthermore, Mr Reid welcomed the commencement of the public consultation phase on the project, which he said had the 'potential to deliver on Project Ireland 2040's vision for future growth and development in Swords and the wider Fingal area'. He said: "Fingal County Council has long advocated the strategic need for a metro link from Dublin City Centre to the Airport, Swords and North County Dublin and today's announcement is welcome as it has brought some clarity in relation to the route and timelines.